Post Red Bull, peddling liquid energy is the thing to do, regardless of whether the drinks actually work. (Consider the oxymoronic nature of energy beers.) So how to make your carbonated Kool-Aid sell? With a Gremlins throwback, of course. Digital Domain creates a quirky spot for Amp, an energy drink from Pepsi. 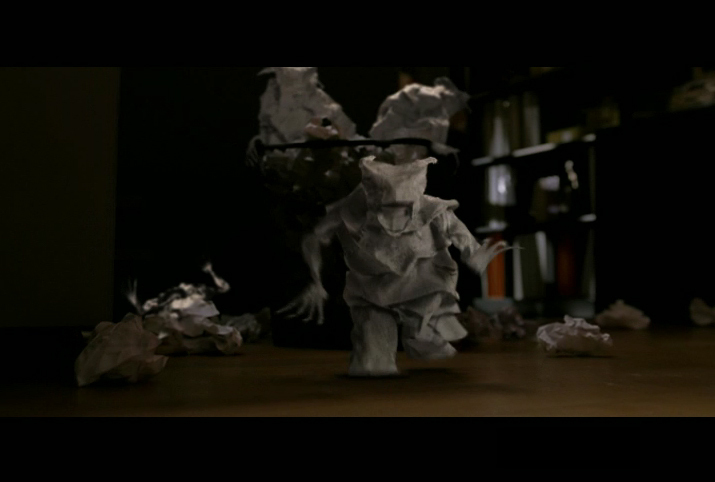 A guy up late gets attacked by Lilliputian paper monstrosities composed of his reject pile. Eventually he mans up and fights back. Then he has some Amp and starts writing the payoff piece. We don't get why the trashed oeuvres turn into gremlins and attack, but we guess it has to do with the adventurous unpredictable lifestyle Amp drinkers lead. Either that or Amp is a hallucinogen, which would arguably sell better than yet another taurine-and-ginseng potion. Pepsi, are you listening? People don't want more energy. They want 'shrooms.